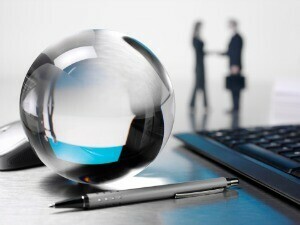 The ability to foresee the future would certainly be the ultimate competitive advantage. In reality though, no business has a crystal ball for making critical decisions. That’s why all critical business decisions have always carried a certain amount of risk. This risk has always and will always be part of the competitive game. While the elimination of risk is impossible, big data is forging a pathway for businesses to reduce it. Predictive analytics has been in use for a number of years and big data Hadoop is helping improve it’s usage and improve outcomes in the process. With big data, no longer is the size of the sample set a limiting factor, as a lot more data is available from a modeling perspective. At it’s core predictive modeling is an algorithmic method to forecast results depending on the scenario. With enough data and the right tools, predictive analytics can be a reliable tool in the hands of decision makers. The majority of consumers have needed to borrow credit to pay for large purchases such as a home, education or vehicle. Naturally, many of them are familiar with their FICO credit score. The FICO credit score was created by Fair Isaac Corporation to help quantitate a consumer’s risk to the investor. Banks and other financial institutions use FICO to predict a consumer’s likelihood of paying back the loan. The predictive analytics used in the FICO score analyzes complex patterns in the consumer’s financial history. These patterns include information from the consumer’s payment history, current debt, length of credit history, frequency of credit and types of credit. Since it’s creation in 1958, Fair Isaac has improved the FICO algorithm to be more accurate and dependable. Today, a consumer’s FICO score is a solid indicator and utilized as a gold standard by most financial institutions. Trucks are the lifeblood of urban sustainability. They transport everything from food to fuel. Recently Jeff Foster Trucking was planning a 50 truck expansion to their fleet. An expansion of this size would cost them an estimated $6 million. Part of these purchased vehicles replaced existing vehicles running on older technology. When evaluating the selection of new potential trucks, management looked at several criteria. A leading factor was the trucks’ fuel economy. Often businesses in this industry make fuel economy decisions based on differences of 0.1 to 0.2 miles per gallon. To make the most profitable decision, Jeff Foster looked to their data. They started by using their historical data on fuel performance across their entire fleet. Electronic control modules sourced the data which was segmented down to the first quarter of 2013. While this was a great start to enhance corporate decision making, it wasn’t good enough to stand on its own. Electronic control modules have less-than-reliable accuracy. Other human factors also contributed to variables that weren’t calculated with the existing data. This is where Jeff Foster turned to predictive analytics. With predictive models they integrated variables such as driving behavior, weight and trailer types. They used this model with data for the first nine months of 2013. The results were staggering. As it turned out, the discrepancy between fuel economy was stark between manufacturers. One manufacturer had significantly lower miles per gallon than what the company expected. Moving forward, Jeff Foster and many other trucking companies will be able to reduce costs and emissions with the added analysis provided by predictive models. Americans file millions of tax returns each year. The Internal Revenue Service’s job is to make sure each of these returns are accurate. This means “smoking out” the fraud. Regardless of what some people may think, the IRS doesn’t have time to decipher the legitimacy of every single return. Instead they use predictive analytics. Returns that exceed predictive parameters are quickly identified as possibly fraudulent. In such instances the IRS audits the filer. The IRS depends on predictive analytics tools to cull through return submissions and identify potential tax evasion, fraud and money laundering. Predictive analytics plays an important role in the effectiveness and risk management of many businesses today. The companies or industries I mentioned above leverage predictive analytics to better serve the lives of millions of people. And with the affordability and availability of new big data technologies, its use has only begun.